However, Secretary Mattis noted that the Trump administration would attempt to work with Pakistan on combating terrorism in the South Asia region “one more time” before taking any measures to force them to do more. The Pentagon chief also revealed that stripping Pakistan of its “major non-NATO ally” status in the United States is on the table. His comments came Tuesday during a House Armed Services Committee hearing on Trump’s South Asia strategy, which covers the 16-year-old war in Afghanistan and the U.S. relationship with nuclear-armed rivals Pakistan and India. “We need to try one more time to make this strategy work with them, by, with, and through the Pakistanis, and if our best efforts fail, President Trump is prepared to take whatever steps are necessary,” the Pentagon chief told House lawmakers. 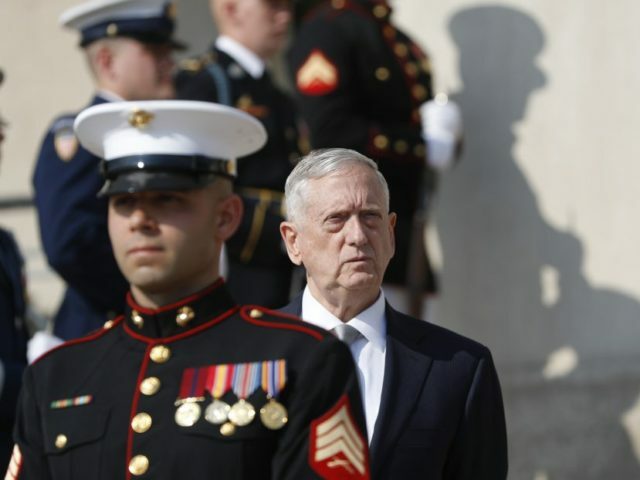 Mattis said he thinks the United States will ultimately convince Pakistan to stop serving as a safe haven for terrorist groups, adding that the Trump administration plans to discuss the issue with Islamabad in the coming months. “I like to think we will be successful,” he told House members, noting that the United States has an “enormously powerful number of options” if not. I think that right now with the growing consensus against terrorism, they’ll find themselves diplomatically isolated, they’ll find themselves economically in increasing trouble as countries that are damaged by this terrorism coming out of there say enough is enough and take steps. There’s an awful lot of advantage to Pakistan coming on line with the international community. Mattis stressed that the United States is enhancing its military relationship with India, considered a rival by neighboring Pakistan and its ally China. We’re deepening and broadening the military to military relationship with them, but it is not an exclusive strategy exclusive of anyone. Any nation that wants to be part of this counter-terror effort and the stability effort in South Asia can sign up. Pakistan need not think this is exclusive of them. It’s open to any nation that wants to move against terrorism and remove this threat to all civilized nations. Meanwhile, Gen. Joseph Dunford, the chairman of the Joint Chiefs of Staff who testified alongside Mattis, urged Beijing to “play a more productive role” in countering terrorism in Afghanistan, which shares a border with China. Gen. Dunford indicated that the United States and China have common interests against mutual enemies in Afghanistan. The Pentagon has long reported that Pakistan is providing sanctuary to jihadist groups that operate in Afghanistan, referring to the threat earlier this year as the “single greatest” factor affecting stability in Afghanistan and the “outcome” of the U.S. mission. “Afghan-oriented militant groups, including the Taliban and Haqqani Network, retain freedom of action inside Pakistani territory and benefit from support from elements of the Pakistani Government,” declared the U.S. Department of Defense (DOD) in a June 2017 report. Trump administration officials have already withheld $50 million in 2016 outstanding military reimbursements from Pakistan because it failed to take adequate action against the Taliban and its ally the Haqqani Network, considered to be one of the top threats against U.S. troops in Afghanistan. According to U.S. Gen. John Nicholson, the top commander of American and NATO troops, the Afghanistan-Pakistan region is home to the “highest concentration” of jihadist groups in the world—20 of the 98 U.S. or United Nations-designated terrorist organizations. Islamabad has long denied the accusations that it lends support to terrorist groups that carry out attacks in Afghanistan. Nevertheless, Gen. Joseph Dunford, echoing other U.S. officials, has linked Paskitan’s top spy agency, the infamous Inter-Services Intelligence (ISI), to terrorist groups. “It is clear to me that the ISI has connections with terrorist groups,” Gen. Dunford told a Senate panel. Before talking to House lawmakers on Tuesday, both Mattis and Dunford testified before the Senate Armed Services Committee.